(Travel Weekly) The only thing fast about the Panama Canal is the speed at which the water drains out of its six locks. Once the electric railway “mules” have towed a ship into the lock and the double doors close behind it, the waterline begins to descend almost immediately. 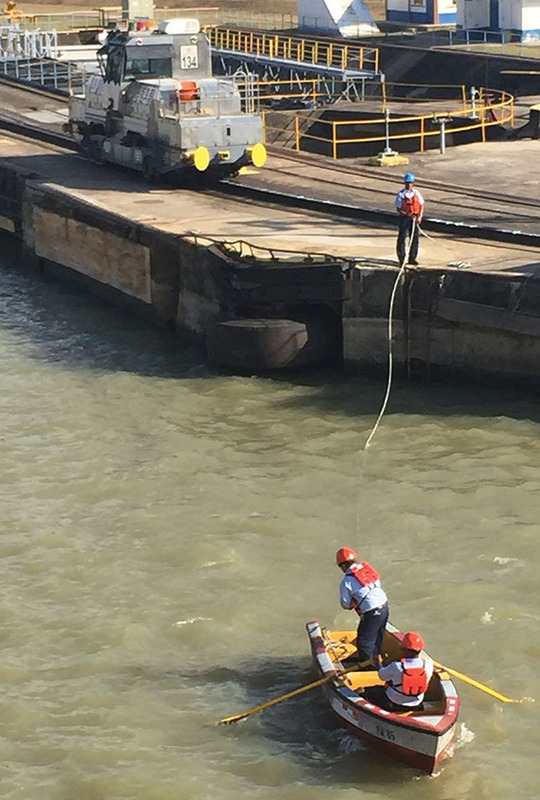 At the Pedro Miguel locks, the narrowest point in the canal, it took a little less than eight minutes for our ship, Windstar Cruises’ Star Pride, to drop 31 feet. Progress is visible on the wall of the lock as the water flows out through valves into the lower levels of the canal ahead. It is the most exciting and interesting part of transiting the 48-mile canal, which otherwise offers a placid and slow-paced journey across a large lake and then through the narrow Culebra Cut that proved the toughest challenge to finishing the canal, an engineering marvel when it was opened in 1914. Sailing the canal, which can take most of a day, is a bucket list item for many veteran cruisers. 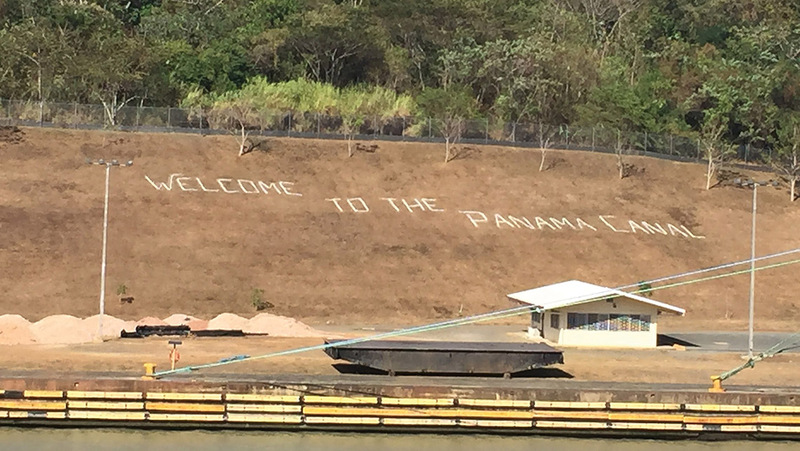 Although one can see the locks in operation at a visitors center at Miraflores near Panama City, going through the entire canal is one of those experiences that can only be done from a ship. There are at least three ways to do it. A full-canal transit can be done on a cruise between the U.S. West Coast and Florida, a 14-day trip offered by Princess Cruises and Holland America Line, among others. A less time-consuming voyage is a roundtrip from Florida that includes a partial transit through the locks on the Caribbean side and into Gatun Lake, often done as part of a 10-day itinerary. A third way is to fly to Panama and join a ship sailing from Colon or Panama City. That’s how I came through the canal as a guest of Windstar, which offers a seven-day cruise that includes stops in Panama and Costa Rica. Our transit from the Caribbean port of Colon began in the dead of night, so by dawn we had already moved through Limon Bay and been raised 87 feet above sea level, passing through the three Gatun locks and into Gatun Lake. There we waited most of the morning for Atlantic-bound traffic to pass so we could proceed with other ships toward the Pacific. Birds swooped and dipped around the 212-passenger Star Pride as the sun rose over the tranquil lake waters. The 249-square-mile Gatun Lake is one of the ingenious features of the American-designed canal. It was formed by building a large, earthen dam that blocked the flow of the Chagres River, creating an inland waterway that carries vessels 15 miles across the isthmus. It sidestepped the almost impossible task of digging the canal at sea level. Cruising the lake is a bit like a tropical version of Alaska’s Inside Passage. Ours was the only cruise ship on the canal, however, amid dozens of cargo ships of every construction and nationality. One of the interesting sights in this stretch is a giant marine crane dubbed “Herman the German,” according to a guide provided by Windstar. The crane was one of several removed from Nazi shipyards at the end of World War II and shipped to Allied nations to prevent Germany from rebuilding its navy. The U.S. sold its crane to Panama for $1 for use in maintenance after control of the canal transitioned to Panama starting in the 1980s. Upon exiting Lake Gatun, our ship entered the 7.8-mile Culebra Cut. Engineers used the better part of the 61 million tons of dynamite employed in building the canal to blast through the basalt and limestone in this stretch. It was here that we saw a small crocodile sunning itself on the bank. Other than the croc and a variety of birds, I saw no wildlife on the shores or in the waters of the canal. The Centennial Bridge that carries the Pan-American Highway across the canal marks the approach to the Pedro Miguel locks, the single-chamber lock that begins the descent to sea level on the Pacific side. Two ships at a time can move through the original set of locks, one through each channel. On our trip we were shadowed by the enormous bulk of the Wallenius Wilhelmsen Toreador, a car carrier with the capacity for 6,556 autos. Looming next to us in the locks, its gigantic, orange hull dwarfed the Star Pride, which is 9,975 tons and 438 feet long. Two years ago a third, wider set of locks was opened parallel to the first two, and at the Pedro Miguel locks the wider ships float for a time above those in the original waterway, a fascinating sight to see. Most cruise ships are small enough to fit through the original locks. It can be a tight squeeze, but not for the Star Pride, which had plenty of room on either side and fore and aft in the locks, which are 110 feet wide and 1,050 feet long. 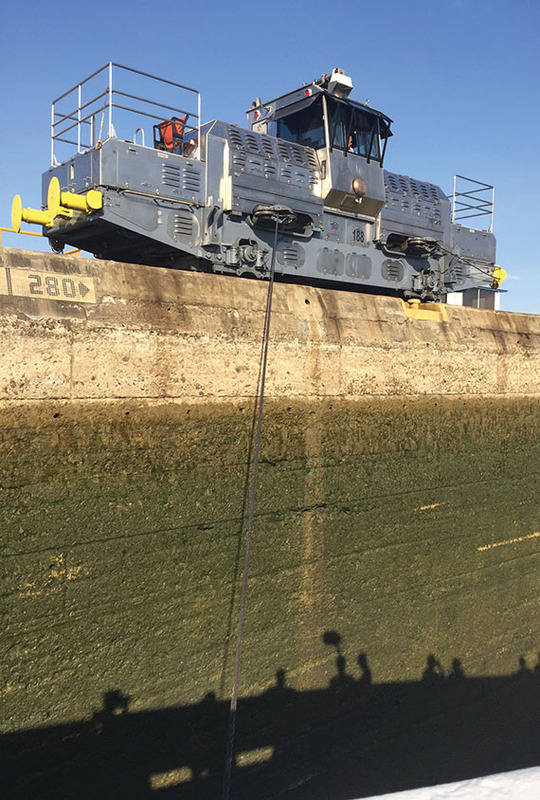 To minimize the chance of accidents, ships approaching the canal are tethered to electric locomotive mules that run on tracks parallel to the locks and tow ships through to the other side. The last set of locks, the double-stage Miraflores locks, lowered us 54 feet in two steps to sea level. The skyscrapers of Panama City and the arch of the Bridge of the Americas were ahead on the horizon. As the sun set, we glided gently toward the bridge that would mark our passage out of the canal and into the Pacific Ocean. On returning to my stateroom at day’s end, I found laid out on my bed an “Order of the Ditch” certificate, dated and signed by the Star Pride’s captain, commemorating my passage through the canal.